pasaload — Official Pasaload Facebook Application of Smart Communications, Inc. 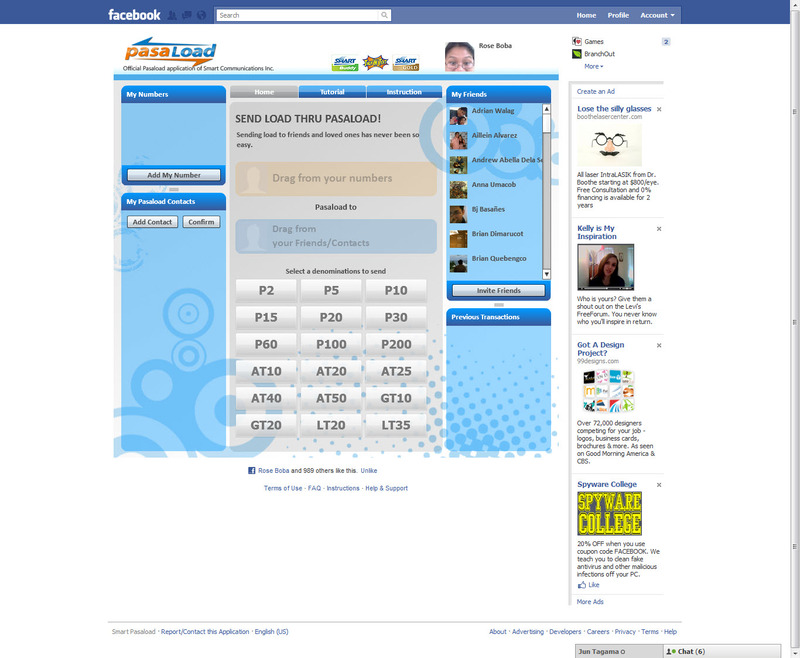 Yes, there is an application for sharing loads in facebook — http://apps.facebook.com/pasaload/. But don’t ask load from me because I’m a globe user. You can use to share load to Smart Buddy, Talk N Text, and Smart Gold. paano mag pasaload gamt ang wbste? H maganda talaga pag my facebook.